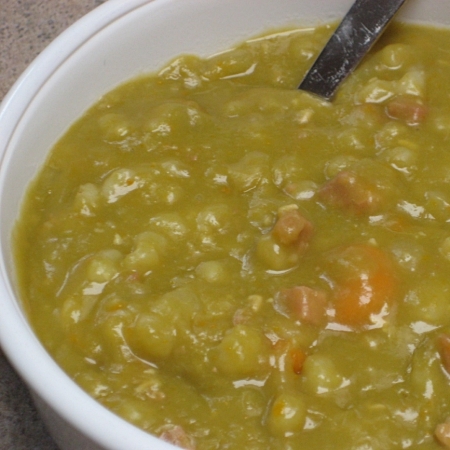 Despite how gross it looks, I love split pea soup. If you ask my kids what their favorite dinner that I make is, they will (honest to God) tell you that it's Split Pea Soup. They LOVE this recipe!! Place all ingredients in the slow cooker, cover, and cook on high for about 4 hours (or low for 6-8 hours) until thick when stirred. Makes 8 servings, approximately 1-1/2 cups each.